Toyark sponsor Entertainment Earth, as well as Amazon, have listed products for the upcoming Jurassic World: Fallen Kingdom products. 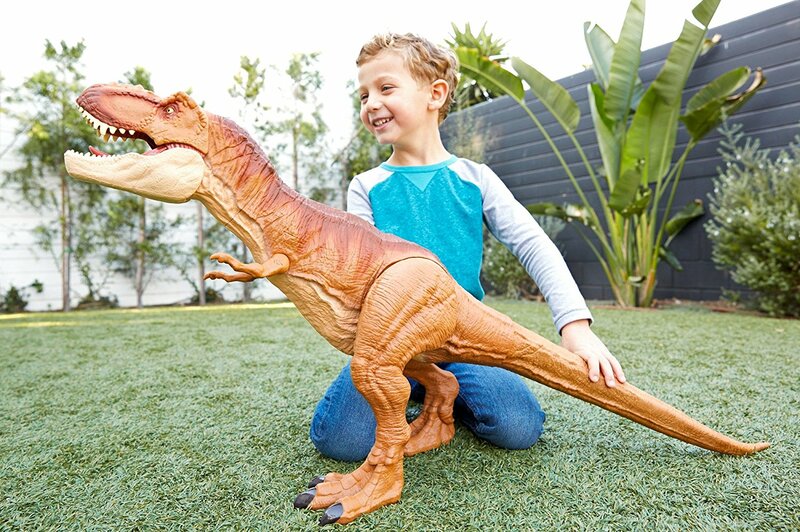 Included are numerous new dinosaurs, sets, vehicles and figures. Some of the products on amazon are now listed as “Currently Unavailable”, but their pages are still live. Some of the items fans may be interested in are: Jurassic World: Fallen Kingdom Super Colossal T-Rex – Entertainment Earth, Amazon Jurassic World: Fallen Kingdom Indoraptor Action Figure – Entertainment Earth, Amazon Jurassic World: Fallen Kingdom Thrash ‘n Throw Tyrannosaurus Rex Figure – Entertainment Earth, Amazon &#187; Continue Reading. The post Jurassic World Toys – Pre-Orders and New Products Live appeared first on The Toyark - News.